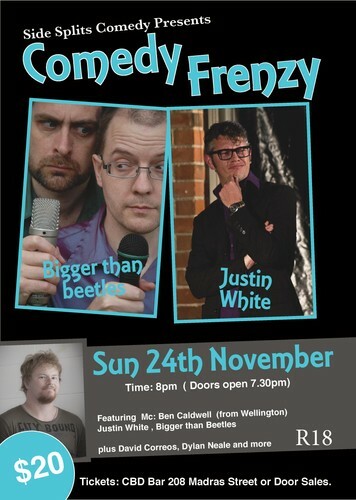 Side SplitsComedy presents: Christchurch Comedy Frenzy, with a stellar line up of some of Christchurch's awesome talent. New acts, new venue. Come check the show out. Limited tickets availible. Buy them at the venue.